A long hard walk up 1600m of elevation to reach the barren plateau on top of the Pisa Range, finishing at the summit of Mt Pisa (1963m). A walk through beech forest to the tree-line at Wye Creek in the Remarkables Conservation Area. There views further up the creek and over Lake Wakatipu. Lower Wye Creek is the forested section of a potentially much longer walk in the Remarkables Conservation Area. Ending the walk just above the tree line makes it a satisfying finish with views up the creek to high ground, and of rugged crags immediately above the creek. Picking your way very carefully between lethal spear grass you can climb up the steep slopes from the creek to get more (partial) views of Lake Wakatipu. A pretty straightforward walk described on the DOC website. Although there’s no track, you can continue up the creek to Lake Alta and the Remarkables ski fields, although I’d say most people would do it downhill as a day walk. We’ve not done this yet because of transport logistics. My pictures are almost all from the turnaround point just above the tree line, and so are a little misleading as the walk is mostly through beech forest. A bendy panorama of the cliffs above Wye Creek. A bit of Lake Wakatipu visible from this spot, and the beech forest down in Wye Creek Valley. Sophia descending back to Wye Creek after we checked out the views from up a bit higher. Those spear grass plants were absolutely lethal, so whatever you do don’t touch them. It was hard work picking our way between them and trying not to slip and break our fall by putting our hand onto one. Dec 2012: A slightly blurry photo of the creek just inside the beech forest. I wanted to include it since this was the only shot from below the tree line that I took. My wife Sophia at the turnaround point of the walk. It was rather cold despite being mid summer. There had been some snow on high ground overnight. A short but steep walk up the side of a mountain for views over the village of Kingston at the southern end of Lake Wakatipu. The Te Kere Haka Track is an alternative flat option along the lake foreshore. The small town of Kingston sits at the southern end of Lake Wakatipu, and is a pretty low key place without the tourist scene around Queenstown. The short but steep Shirt Tail Track is one way to get above the town and enjoy the scenery if you are in the area, and the drive down from Queenstown is also nice. 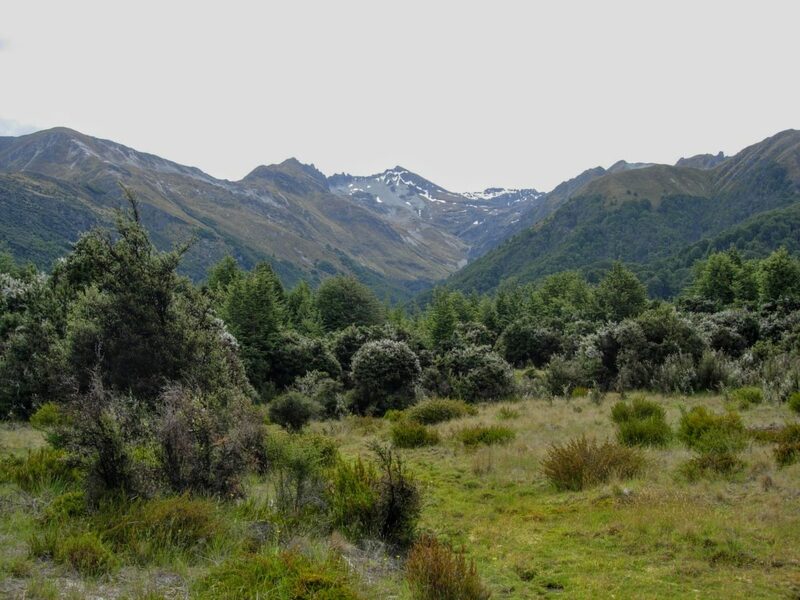 The walk from Cameron’s Flat to the Glacier Burn crosses pasture and then enters beech forest, eventually stopping at the burn (stream) with views of Avalanche Glacier. 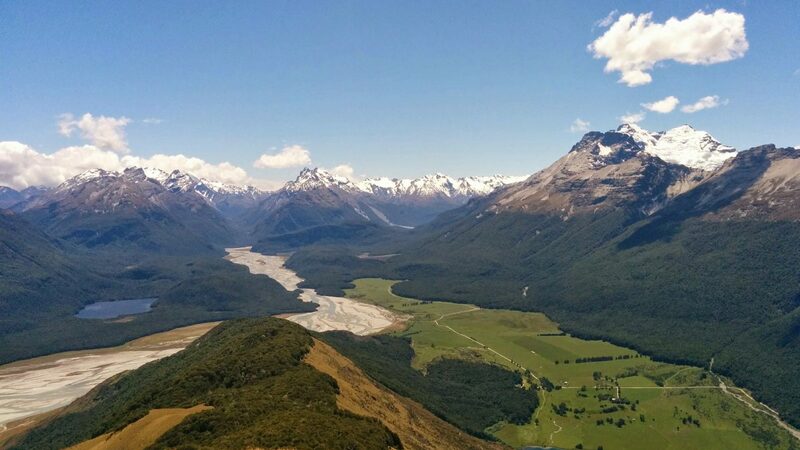 The East Matukituki Valley is about an hour’s drive from Wanaka, and is less well known than its neighbour, the West Matukituki Valley. The initial walk from Cameron’s Flat crosses featureless farmland, and doing this in full sun definitely took the gloss off this walk. Nevertheless, the views of the surrounding mountains are lovely, and the short section in beech forest to Glacier Burn is very picturesque. The views from the burn of Avalanche Glacier provide the money shot. I think this is a walk to do only after you’ve done nearby alternatives like the Rob Roy Glacier Walk, (which I haven’t posted on yet – its coming up). There are brief track notes and a map on the DOC website. The start of the walk in the West Matukituki Valley. Near the start of the walk. The farmland we had to walk through. Pasture eventually gives way to national park. Sophia almost trod on this baby bird, which sadly looked to have been separated from its mother. I think it was asking for food. We gave it a little banana but I fear this poor soul was doomed. The Glacier Burn is the end of the track. I took a picture of what I think are buttercups (for nostalgic purposes – I don’t think I’ve seen any in decades), and it came out rather interesting due to over exposure or some other such trickery of light. 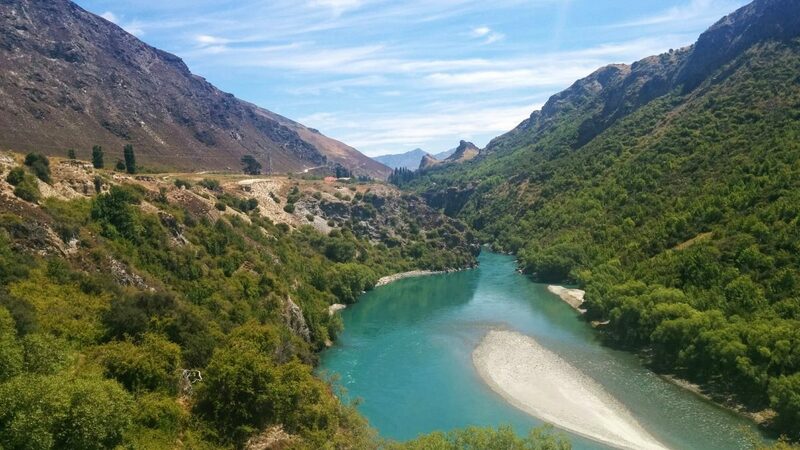 The Gibbston River Trail is a constructed and mostly flat track that runs through the picturesque Gibbston Valley wine region next to the Kawarau River. It can be walked or mountain-biked. The Gibbston River Trail runs through the picturesque Gibbston Valley wine region next to the Kawarau River. It’s a mostly flat gravel track that can be walked or mountain-biked, and to be honest biking it would probably be more enjoyable. After a long climb through attractive beech forest you’ll be rewarded with classic South Island views of high mountains, including Mt Brewster & its glacier. Continue upwards from Brewster Hut towards Mt Armstrong for even more views. A straightforward walk on the foothills of Mt Crichton near Queenstown. The track passes through native beech and manuka forest, and visits a historic miner’s hut. Mt Alfred sits alone on the edge of Mt Aspiring National Park, and the summit provides some of my favourite views in New Zealand.